We dominated the play of the game, we just didn't finish well. We are young and still learning to play together. We played well. 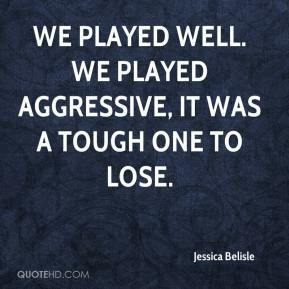 We played aggressive, it was a tough one to lose.